Palm Pre coming to Verizon in January? Verizon and Apple: To be or not to be? Looks like the honeymoon for the Palm Pre and Sprint might be over before it even began. Though the relationship hasn’t even been officially consummated yet, it seems that Palm’s already looking outside of the marriage for someone to fill its needs: and that someone is Verizon. 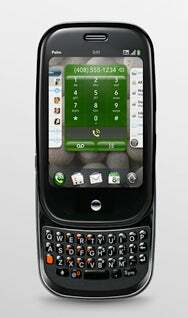 According to Reuters, Verizon will be getting the Palm Pre alongside the BlackBerry Storm 2 and to-be-announced Android handsets. The catch? Verizon Wireless CEO Lowell McAdam said the Pre will come to Verizon in around six months time. Half a year seems to be all the exclusivity Sprint will get for the handset. The timing of this announcement reads as a big [expletive deleted] to Sprint, since the network is launching the Pre in just over a week, on June 6th. Sprint CEO Dan Hesse said earlier this month that the company didn’t expect to be able to keep up with demand in the inital days of the launch, but the question now is whether early adopters will be as eager to line up for the Pre at its release if they know it’s coming to Verizon’s network in six months. Certainly, it seems unlikely that Sprint’s going to pull a lot of—if any—converts from Verizon. Given that Sprint is looking to the Pre to help keep itself afloat—the company has lost both money and subscribers for the past six consecutive quarters—this announcement has to have taken the wind from its sails.